I had no particular expectations of Broadstairs, visiting only to be with friends for the New Year, but it turns out to be a rather nice little seaside town, and you don’t get to say that very often. Opinion appears to be divided on the derivation of Broadstairs’ name and we couldn’t find a local feature to fit the moniker. But Broadstairs certainly was the location for filming ‘The 39 Steps’, and Charles Dickens spent a fair bit of time here when he was writing many of his most famous novels. Bleak House is still perched on top of the cliffs towards Joss Bay and every second pub has a Dickens related name. 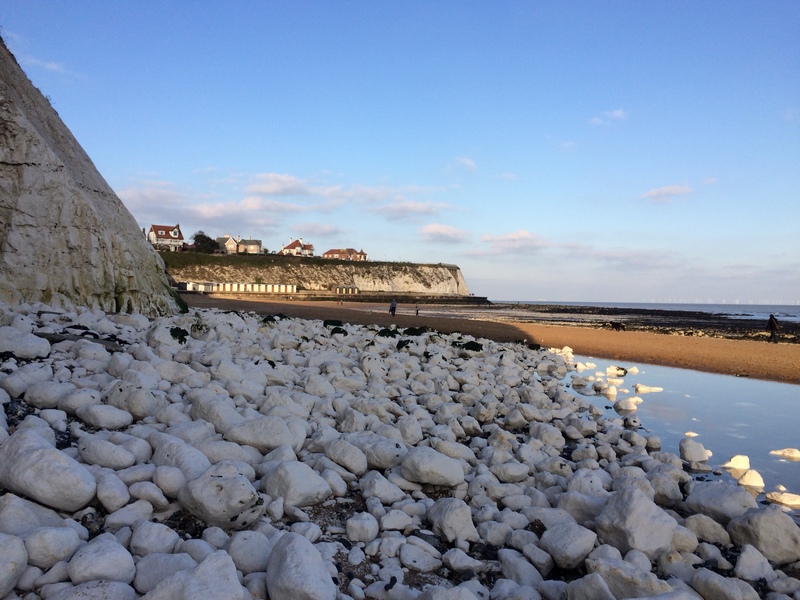 The main reason to go to Broadstairs, however, is the wonderful little beach in Viking Bay and the glorious long walks along the chalky cliff coastline. When the tide is out you can stroll along the beach all the way to Ramsgate, spotting starfish, crabs and sea-view mansion threatening cliff-erosion along the way. Or head left from the beach instead of right and there is a similar length stroll to Joss Bay. The scramble over the rocky bits can be avoided via the cliff-top path, which also provides an excuse to visit Bleak House. 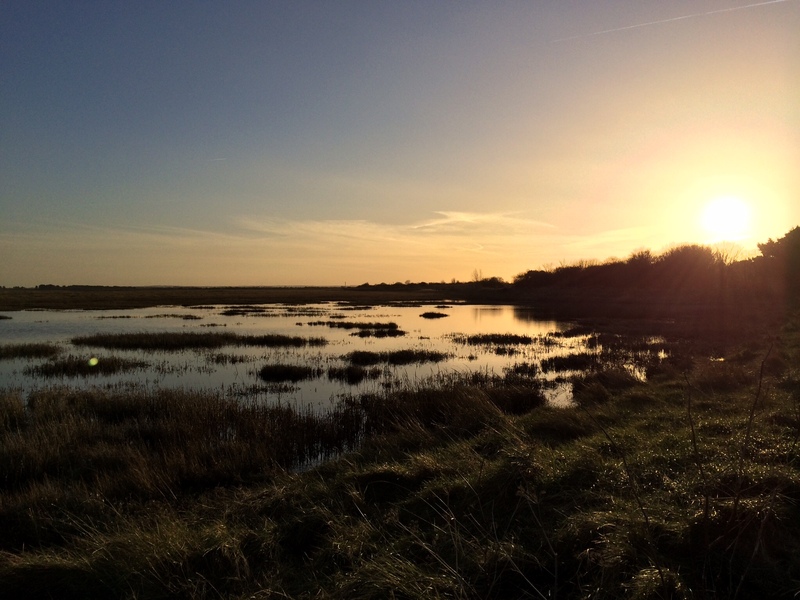 If you want to go on beyond Ramsgate then there is a nice little nature reserve at Sandwich & Pegwel, which seems to attract a fair amount of birdlife. We didn’t have binoculars with us, but the weekly sightings board included a short-eared owl, a peregrine falcon, lapwings and plovers. Having traversed England’s southern border, Broadstairs also offers the most perfect post-stroll pub/bookshop. 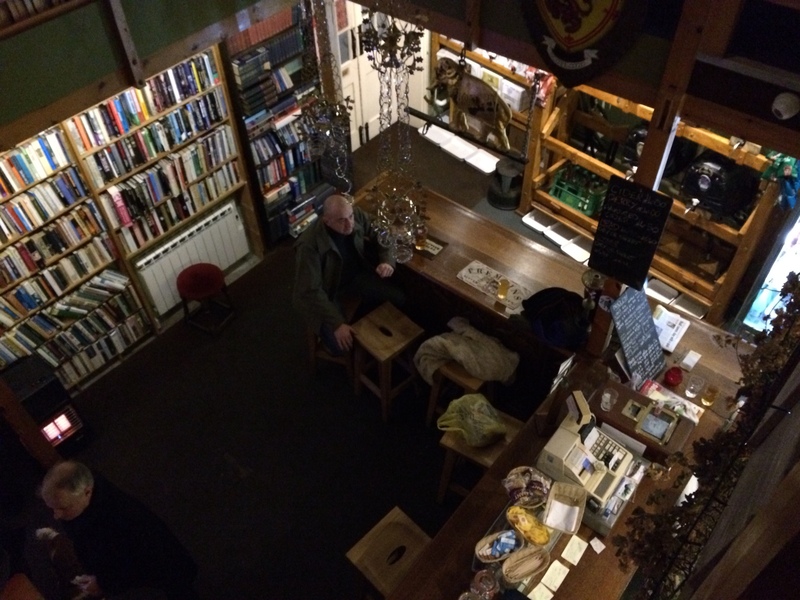 Yes – a bookshop with a bar! The Chapel is a dinky little place just up from the beach, which serves carefully selected real ales, great pies, a decent range of French wine (this is former smuggling territory) and a nice little selection of scotch. But what makes this little boozer special is that supping takes place surrounded by books, all of which are available for sale or equally for a quick read in an armchair in one of the Chapel’s nooks and crannies. Our New Year’s Day reading included David Attenborough’s ‘Life on Earth’, a pictorial guide to Lord of the Rings, a decades-old environmental campaign guide that advised about a newly understood danger that carbon dioxide emissions would cause dangerous climate change, and geography textbook that pre-dated the theory of plate tectonics. Oh, and of course the Guiness Book of Records 1974. I hadn’t planned on vinyl hunting in Broadstairs, but one of my friends had gained her first record player for Xmas and so I thought it my duty to at least find a charity shop with a few old LPs. 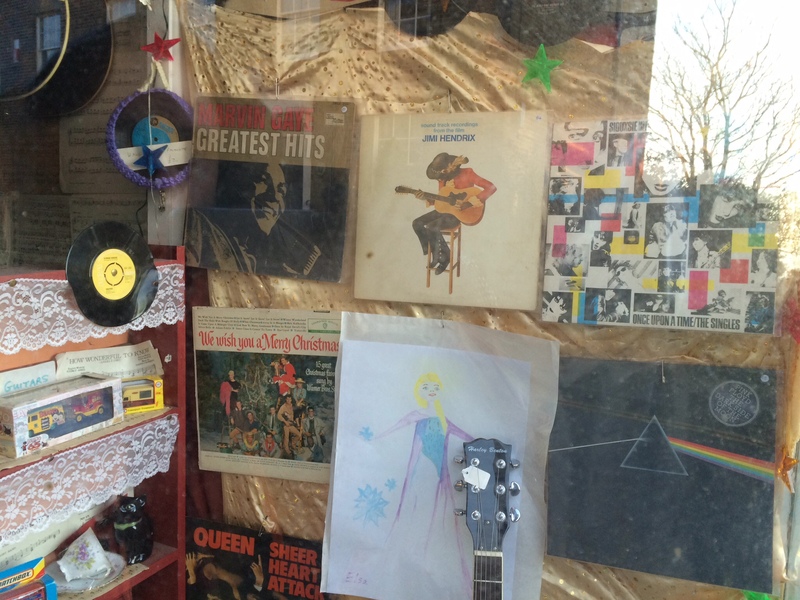 In the event we discovered a quirky little shop (Sound House, 29 High Street) across from the Chapel that offered a well ordered selection of quality vinyl, albeit at prices that were steep even by London standards (£18 for Dark Side of the Moon; £14 for Rumours, which anyone can find for a fiver or less elsewhere). And there were also some decent looking second-hand guitars on offer, but I wasn’t allowed to look at them properly..
Broadstairs is 1 hour and twenty minutes by train from Kings Cross St Pancras, and everything is in easy walking distance of the rail station.